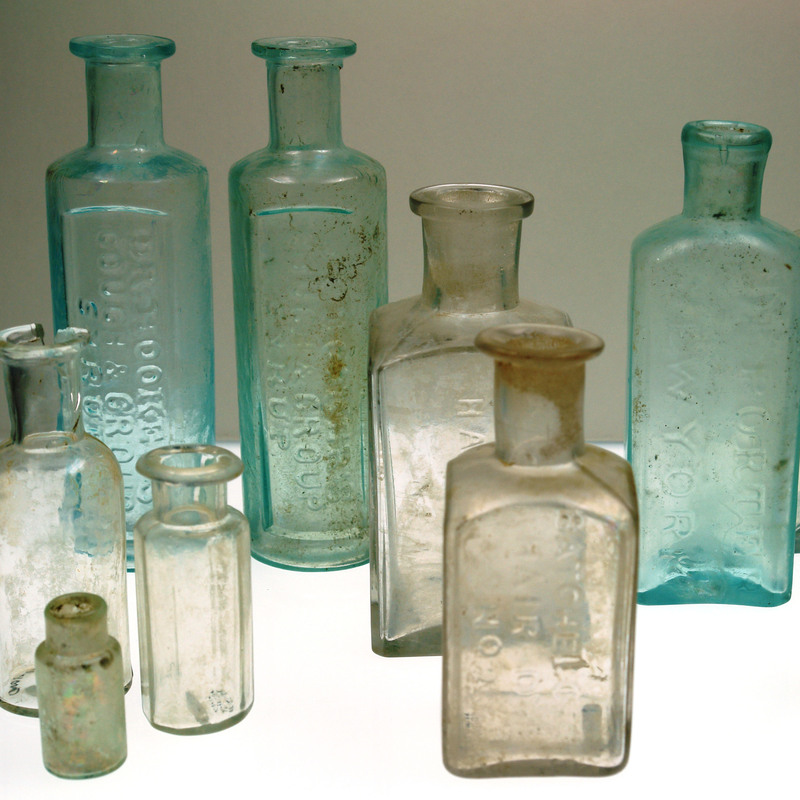 The Greenwich Mews collection includes three large domestic deposits recovered from two 19th century privies excavated on Greenwich Street in Manhattan. One assemblage was from privy no.1 at 689 Greenwich Street and was deposited after 1868. The house at 689 Greenwich Street was occupied by seafood merchants, and a mason during the 1870s and 1880s. A second assemblage consists of the upper layers of privy no.2 at 691 Greenwich Street, deposited c. 1880. The two-family house was then occupied by the families of a milk-dealer and a clerk. The large domestic deposit from the lower levels of privy no. 2, were deposited after 1851. This deposit represents three consecutive single family occupations by the families of a merchant (1840s-1850s), a mahogany dealer (1850s) and a butcher (1870s). Objects include chamber pots, spittoons, bone toothbrushes, coins, a profusion of pitchers, numerous medicine, perfume and hair-dye bottles (some with ingredients still inside), cold cream and ointment pots, cologne bottles, a glass bird feeder, cruets, candlesticks, and stoneware storage vessels. Ambrotypes (an early method of photography) were also recovered, one of which, dating to c. 1860, was conserved and reproduced. Locks of hair were also found between the framing and the matting of several ambrotypes. The total artifact count is more than 5,000 for this collection. Privy at 689 Greenwich Street: 1868-1880s. Privy at 691 Greenwich Street, context 1: 1851-1870s. Privy at 691 Greenwich Street, context 2: ca. 1880.